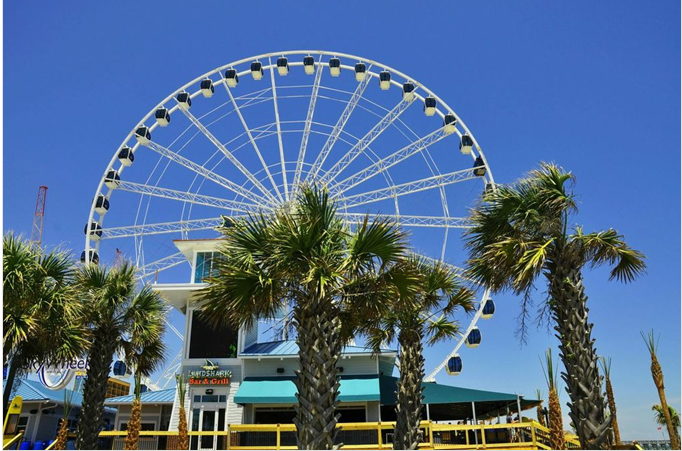 Boasting beautiful beaches, excursions, and charm, a South Carolina vacation can be wonderful choice for your getaway. Having a “Carolina” vacation can give you more than just an experience – it can help your family create memories to last a lifetime and new traditions to enjoy for years to come. Wyndham Vacation Rentals in South Carolina offers a home away from home filled with many necessities to build a memorable vacation. Our luxury condos and private homes are located along the stunning coastline of South Carolina, in popular destinations including Myrtle Beach, Hilton Head Island, Kiawah Island, Seabrook Island and Isle of Palms. Explore the list below to plan your South Carolina vacation! Hilton Head: Beyond the beautiful beaches and numerous recreation options on Hilton Head Island, you can find a golfer’s dream vacation. With several world-class quality golf courses to choose from, Hilton Head Island can provide a challenging experience for even the most skilled player. 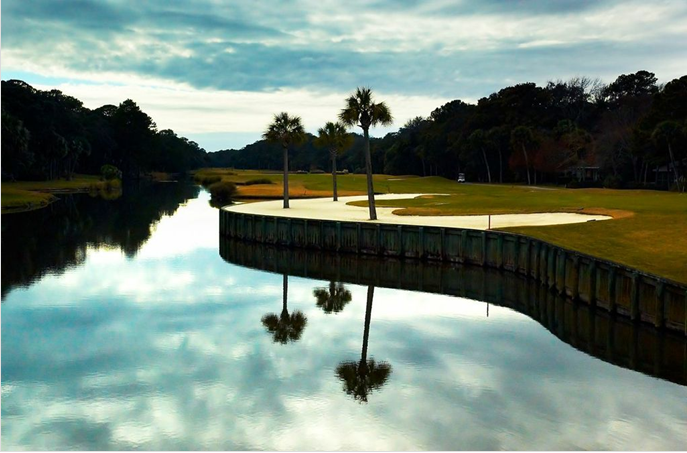 But, a vacation on Hilton Head Island offers more than just golf. Family fun can be filled with outdoor activities for all types of travelers. 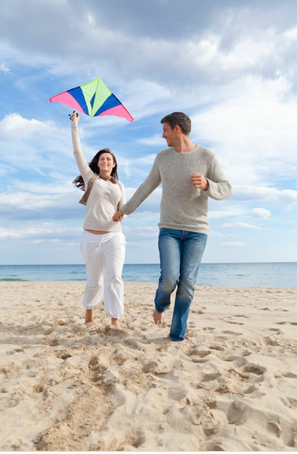 Perhaps you would find relaxation on the island’s 12 miles of bike paths or in Forest Beach’s Coligny Plaza for those who love to shop. Seabrook Island: Possibly one of the best kept secrets on the East Coast, this serene island can offer an unforgettable escape. Families, couples and friends are likely to stay busy on Seabrook Island in South Carolina. Whether you enjoy golf, tennis or horseback riding on the beach, there are many activities to choose from during your vacation. If you want to explore off the island, it’s just a 30-minute drive to the historic downtown area of Charleston or a short walk to Freshfields Village where you can shop ‘til you drop! Local Tip: stop by Freshfields Village in the summer evenings for a stroll around the Farmers Market! Kiawah Island: Kiawah Island is well positioned on preserved sand dunes, marshes and maritime forests. The beauty of nature and the abundance of wildlife on the island are where relaxation and recreation meet. Recently recognized as “the happiest seaside town in America” by Coastal Living, Kiawah Island wears the title proudly. The positive energy on the island can be contagious. Your vacation can be filled with a mix of adventure and tranquility. Isle of Palms, Sullivan’s Island and Wild Dunes: Isle of Palms, Sullivan’s Islands and Wild Dunes offer a beautiful canvas to paint and create your ideal vacation experience. The private homes and luxury villas by Wyndham Vacation Rentals nestled along the Atlantic Ocean allow for plenty of outdoor adventures. Whether you want to try yoga on the beach or perhaps build a sand castle with your family, these South Carolina islands can give you the ability to do so! *Wyndham Vacation Rentals does not endorse any of the vacation rental property activities, guides, vendors or service providers described. Each vendor is solely responsible for the product or service it provides and it is the individual’s responsibility to investigate the safety and suitability of any activity and the credentials and fitness of any guide, vendor or service provider. Wyndham Vacation Rentals expressly denies any liability for engaging in any activity and for using any guide, vendor or services provider that may be mentioned or described herein. Additional fees and restrictions may apply to any activity or service.